Lotos-S is the prototype version of the Lotos Electronic Intelligence spacecraft part of the Liana ELINT system that combines the Lotos and Pion components of radio intelligence spacecraft for the monitoring and characterization of radio signals emitted on land and sea. The Liana ELINT Satellite System is the successor to the Tselina-2 radio intelligence spacecraft and US-PM naval ELINT system. Electronic intelligence has become an important aspect of military space programs, operating alongside optical and radar spacecraft to gather data needed by intelligence services, governments and the military. ELINT satellites are capable of localizing radio emissions from ground-based facilities as well as mobile assets. Characterization of the signals provides valuable information on activity at foreign military installations. Major operators of ELINT programs are the United States, China and Russia, however, the Russian ELINT program has a storied history and is currently facing a gap in data as the follow-on program to the original ELINT fleet is behind schedule. The Soviet ELINT program was initiated in 1964 with the development of two types of spacecraft – Tselina-O that were smaller satellites to make low-sensitivity measurements to provide an overview of radio activity over a large ground area, and the high-sensitivity Tselina-D satellites for precise measurements of locations of interest. The Tselina program saw its first launches in the mid-1960s when test payloads were launched on two experimental satellites (both failed) before the first Tselina-O spacecraft launched in 1967. The Tselina-O satellites had a mass of around 450 Kilograms and operated in orbits at around 530 Kilometers at an inclination of 74 degrees. Tselina-O saw more than 40 launches until 1982. In parallel to Tselina becoming operational, an ELINT-based Ocean Monitoring System was being developed. The US-P program saw its first launch in 1974, carrying a passive electronic intelligence payload that was used to track navel vessels and their movements. The solar-powered US-P project built on the nuclear-powered US-A satellites that were launched between 1965 and 1988 featuring active radar payloads to track naval vessels. A total of 37 US-P satellites were launched through 1991 before being retired in favor of the improved US-PM that featured a number of modifications. 13 US-PM satellites were launched with the last one flying in 2006. 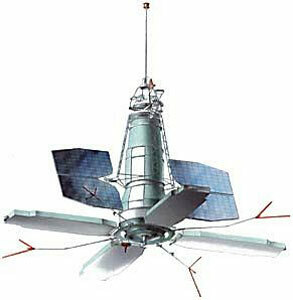 The first Tselina-D satellite was launched in 1970 and was followed by nearly 70 satellites launched until 1994. The Tselina-D satellites had a launch mass of about 1,800 Kilograms and had an expected operational life of six months. The satellites operated in orbits around 550 Kilometers at different inclinations around 80 degrees. Tselina-D satellites built a constellation with satellites in several planes spaced by 30° in the early phase of the program and 60° later in the program. After the retirement of Tselina-O in 1984, Tselina-D took over general ELINT surveillance operations. Four improved Tselina satellites known as Tselina-R were launched between 1986 and 1993. The early Tselina constellation had the drawback that it only provided recorded data that was stored onboard the spacecraft until they could downlink acquired data to Russian ground stations. The improved Tselina-2 satellite generation was capable of downlinking data in real time via Geosynchronous data relay satellites. Tselina-2 satellites had a launch mass of 3,300 Kilograms and an expected lifespan of more than one year. The first Tselina-2 launched in 1984 and was followed by 22 more launches until 2007 using Proton-K and Zenit-2 rockets. Tselina-2 and –D complemented each other while both were in operation as Tselina-2 operates in higher orbits at 850 Kilometers with a spacing of 40° in between planes. 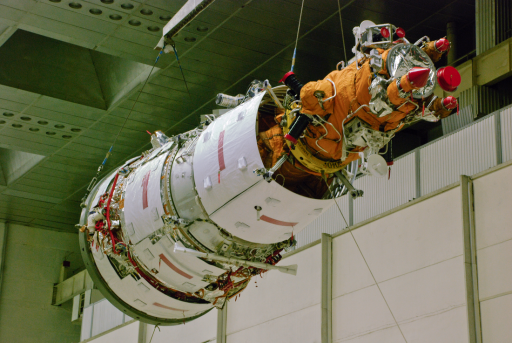 Development work on the Tselina-3 satellites was completed late in the 1980s, but the fall of the Soviet Union came before Tselina-3 was launched. Because Yuzhnoye, the manufacturer of Tselina, was now located in the independent Ukraine, an effort to secure Russia’s strategic resources was started to develop a Russian-built spacecraft that can match or even surpass the capabilities of Tselina and US-PM. KB Arsenal in St. Petersburg was tasked with the development of the spacecraft to be used in the Liana Program, known as Pion and Lotos. Although the two would be serving different purposes, ELINT and naval monitoring, the design called for both satellite types being able to serve as backup for the other. By the early 2000s, the Liana project had run into funding issues as well as technical issues as KB Arsenal was unable to manage thermal control on their newly developed spacecraft. TsSKB Progress of Samara was appointed to provide the satellite bus of the new satellites, developed from the Yantar bus that has been in use in a series of current space projects including Bion-M, Foton-M, Resurs and optical reconnaissance satellites. Final design studies were underway beginning in 2005 proposing the Lotos and Lotos-S satellites serving pure ELINT purposes and the Pion satellites carrying a radar payload for naval monitoring. A later version, Pion-NKS would carry both, a radar and ELINT payload. With the last US-PM entering orbit in 2006 and the final Tselina launching in 2007, Russia was facing a gap in ELINT coverage since the Liana project was far behind schedule. 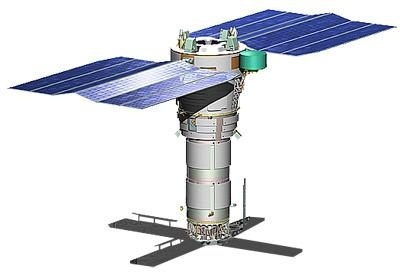 After over 15 years of development, the first Lotos-S satellite was launched atop a Soyuz U rocket in 2009 and operated for over three years. The launch of the next Lotos satellite was expected within three years, but delays pushed the mission into 2014. The Yantar bus finds its origin in the 1960s and, to date, remains in use in Russian optical reconnaissance satellites. Initially, film-return satellites were used before being replaced with electro-optical satellites capable of downlinking imagery to the ground. 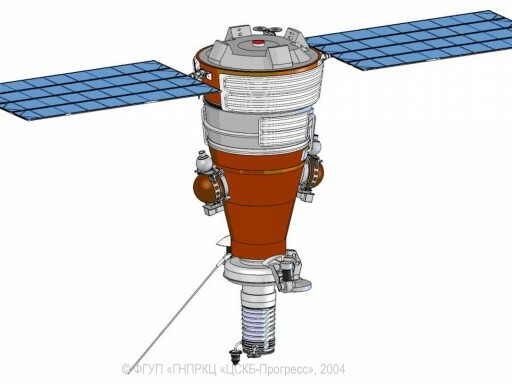 Provided by the Yantar bus are all basic spacecraft functions such as power generation and storage, propulsion, attitude determination and control, data and command handling, and communications. Overall, the Lotos satellite has a diameter of 2.7 meters, a length of over seven meters and a mass on the order of five or six metric tons. The satellite uses two deployable solar arrays for power generation and onboard batteries to deliver power to the various satellite systems when in eclipse. The Service and Instrumentation Module has a length of around 2.2 meters and contains the satellite’s propulsion system that uses up to 900 Kilograms of Unsymmetrical Dimethylhydrazine and Nitrogen Tetroxide Propellants with Helium as pressurant gas. The propulsion system consists of a main propulsion unit used for impulse burns and a series of low-thrust engines for vehicle control. The main engine of the vehicle provides 2.94 Kilonewtons of thrust and the reaction control engines have thrust levels from 5 to 100 Newtons. Specifications of the Lotos ELINT payload, built by the TsNIRTI Institute of Radio Technology, are not available. 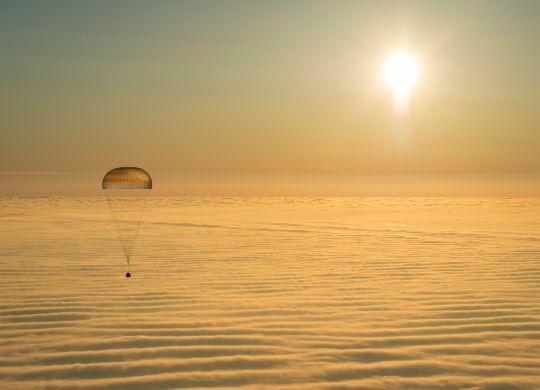 The Soyuz rocket launches the Lotos payload into an orbit of approximately 200 by 900 Kilometers at an inclination of 67 degrees. Circularization at an altitude of just over 900 Kilometers is done by the satellite itself.